The current global environment is one prone to natural and man-made disasters, all of which require effective preparation, management and leadership to contain such events when they occur. The failure to anticipate, prepare for and manage emergencies in most developing societies has often led to the unnecessary loss of life and property. While such failures have been attributed to the lack of intellectual, analytical and management capacity to anticipate and prevent disasters and accidents, sensible policies may be crafted and implemented by leaders in developing societies to address these situations when they occur. Consequently, effective planning and permanent training must be designed to become mandatory components of strategies for counteracting natural disasters, contingencies or other emergency situations engendered by natural or man-made disaster in developing nations. Such plans or programs initiated by governments in developing countries should be well structured and coordinated. 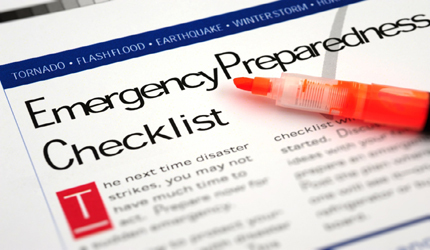 Citizens in these nations should be familiar with policy directives or prescriptions to be followed during emergencies or natural disasters. Efficient programs should always include the following; strategic planning and implementation supported by a group of experts, coordinated collaboration among different levels of government, and feedback from all stakeholders concerned. Emergency preparation and management policies must be binding and inclusive of all community stakeholders regardless of their race, religion, sexual orientation, political preferences or socioeconomic status. Given that the preservation of human life is the fundamental duty of all governments, leaders of developing nations must embrace this principle and ensure they establish regulatory frameworks with the sole purpose of safeguarding the wellbeing of citizens during emergency situations. To that end, the overriding responsibility of leaders of developing nations should be ensuring the infrastructure and resources necessary to successfully accomplish stated goals are in place. Failure to provide for these critical components of emergency preparation and management could render these countries more vulnerable to natural and manmade disasters. Admittedly, there is a tendency in developing countries not to adhere to emergency management protocols or to enforce compliance with them. Such shortcomings are often driven by corrupt and incompetent forces that do not serve the public interest. These practices severely undermine any efforts to craft and sustain credible emergency plans. Thus, when a severe storm, earthquake, tsunami, landslide, terrorist attack or any other disaster occurs, lives and property that could have been saved or protected are lost. Governments can avert these tragic situations through the careful planning, management and enforcement of emergency protocols. For example, when a severe storm hits a region without adequate preparation or management of emergency strategies due to the lack of proper infrastructure (roads, railways) and resources the outcome is often tragic. It is imperative developing countries commit to acquiring best practices in emergency preparation and management that are at the core of protocols designed for such occasions. For example, developing nations can work collaboratively with developed nations to take advantage of the technology of the 21st century that developed nations have skillfully harnessed to address their emergency management needs. The transfer of such best practices and technology to environments in the developing world that are susceptible to natural disasters could go a long way toward saving lives and property. Rather than wait helplessly to receive international aid after a disaster has occurred, developing countries ought to act proactively by leveraging their relations with the developed world to acquire the resources (training, support and best practices) that will enable them successfully manage disasters and other emergencies when they occur. Taken together, it is important to note here the preparation and management of natural and manmade disasters are indispensable aspects of the national security of both developed and developing nations. To that end, developing nations which are more susceptible to these emergency situations because of inadequate preparation and management training, lack of resources and infrastructure, corruption and the unwillingness or inability of some developing nations to seriously commit to addressing problems pertaining to emergency management, should make concerted efforts to work collaboratively with developed nations to acquire skills, knowledge and abilities needed to effectively manage their emergency needs. It is therefore imperative developing nations treat emergency planning and response as national security priorities and invest time and resources to teach present and younger generations the importance of safety. While natural disasters cannot be avoided, they can nonetheless be managed to avert the casualty toll that is likely to occur when such disasters impact environments which are not adequately prepared. Developing nations should be proactive and not wait for major disasters to occur to go to work. Strategic planning for disaster or emergency management should be a national security imperative for all developing nations. Author: Professor Viviane Foyou joins the University of Texas, at El Paso (UTEP) as an Assistant Professor in the Public Administration Program. Viviane received her B.A. in Political Science from Gustavus Adolphus College and her M.A. in Public Administration from Minnesota State University, Mankato; M.A. in Political Science and Ph.D. from West Virginia University. Viviane’s teaching interests include public administration, public policy, and homeland security. Her primary research interests are in the field of emergency management, and bureaucracy.